To clear up any confusion. All tablets except the 7015/7015A will require to be rooted by the member prior to getting any of my ROM Upgrades. So make sure you have that tablet Rooted and Clockwork Recovery on there except for the 7042, 9742, 1042 doesn't use Clockwork Recovery. But those too need to be rooted. I HAVE DROPPED SUPPORT FOR THE FOLLOWING TABLETS. I have to stress this point. Thank you. I have a 7015a with some upgrades and Clockwork recovery and was wondering how this will affect the powercode rom install? chipcash wrote: I have a 7015a with some upgrades and Clockwork recovery and was wondering how this will affect the powercode rom install? Your fine don't worry. I had to removed 7014, 7015b from the line-up. Frankly this site was built around the 7015 OEM (this is the first 7015) and 7015a. Rooting the other models is very easy the 7042, 9742 and 1042 all share the same process they have to be image with the root in the image there are links in the 7042, 9742 and 1042 threads. Everything else has the method for rooting them. Some other tablets on the ATZ forums I have Root built-in the script or that tablets come rooted out of the box. Root just means the tablet is unlocked to do anything. Lock you can't do anything other than download and install Non-Root apps. Can you break in tablet Coby Kyros MID 1126? An erase the ROM and all the forums I found, it is to download only lk.rom to 1125 but after installing over FWDN v.7 and patch and upgrade is still in Android stated that I have installed FW to 1125 and the picture is "broken "- see appendix - a touchscreen is not working. Otherwise, FUNCTIONAL everything, but only after connecting a USB mouse to a tablet can operate. Wrong display drivers. Can't use what's on 7", 8" or 9" on 10" unless the display code is setup correctly. I have no idea how to update anything on this. I am pretty tech savy but I am trying to make it simple for my parents. The app downloader does not work and I am just wondering where I can root this and install a new os on it. Confused wrote: I have no idea how to update anything on this. I am pretty tech savy but I am trying to make it simple for my parents. The app downloader does not work and I am just wondering where I can root this and install a new os on it. "Sorry, but only users granted special access can read topics in this forum"
so how do i get special access? i've quickly looked through the faq and didn't find any info on this. Nevermind... apparently you have to have at least one post to read certain forums??? after i posted this message i could get into it. Yes you just have to say hello in the on going thread that reads Say hello. Once you post in there you become a New Member. Prior your a REG Member. What would it cost to have all the work done? I'm not sure I could do this, just reading about it is a bit intimidating ..
mechaman55 wrote: What would it cost to have all the work done? I'm not sure I could do this, just reading about it is a bit intimidating ..
On which model. Cost of the ROM Package and plus If I do it you would have to pre-paid for UPS, FedEx or USPS return shipping pickup. <-this is only for the following models 7015 full ROM DRX Package, 7042, 9042. Those 3 only. Are you using any of my prior ROMs if not I don't have any ROM, I only support the Stock ROM. Fernando this is English speaking site, you need to translate that into English. Thanks in advance. mechaman55 wrote:What would it cost to have all the work done? I'm not sure I could do this, just reading about it is a bit intimidating ..
OK, I guess that means 'no', I have a MID7012. I'm still working at it, decided to give it a try. The stumbling block is that it doesn't completely connect to my Windows 8 PC. I need help for rooting my mid7022. Tried SuperOneClick, doesnt work, rooting fail. Anyone can tell me what i am doing wrong? Tried also different apk root, no luck. OK, this message is now obsolete, since I have since rooted my MID7012. And ordered the custom ROM. Now to open it? Seems that you have to lift the frame around the screen, I see no gaps on the back of the MID7012. Am I right? GApps, you need to make sure you have did a complete reset to wipe out any prior code. If your not seeing any GApps. tipstir wrote: GApps, you need to make sure you have did a complete reset to wipe out any prior code. If your not seeing any GApps. I don't think my message was clear .. 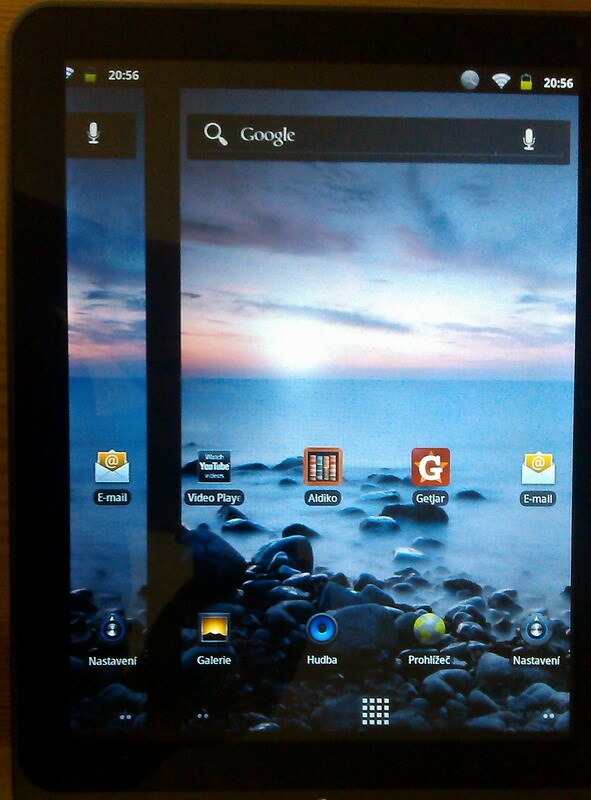 I meant that I didn't see any 'gaps' on the back panel of the tablet itself. I have the tablet rooted and clockwork recovery installed and all that. Make sure you backup/restore point first before you begin. So, question: how do I install clockwork recovery? Put the *.zip in the root, or install from my PC? I see the files and such in the special folders I downloaded from the Box. next question: should the tablet still be connected to my PC when I install the upgrades? another question: should that triangle with the exclamation point be there? when I first reboot while holding the back button, a 'package' opens up, then turns into the triangle/exclamation point. OH, the tablet IS fully rooted. tipstir wrote: Sim, você apenas tem que dizer Olá na linha em que se lê vai Diga Olá. Uma vez que você postar lá você se tornar um novo membro. Antes seu membro REG. Amigo, onde está escrito olá, não encontro. Não consigo ver nenhum tópico. "Friend, where it says hello, not against. I can not see any topic." can you help me with kyros mid 7120 who can´t find the rom for udpate because when i use the fwd7 with another rom stopped when stay at 99% and i try with similar rom and no working. now when i start the tablet onle show coby logo and stay there and not avdance to load android software. pmd666 wrote: I need help for rooting my mid7022. SuperOneClick, older versions you need to get that V2.3.3 if you need it let me know. Have additional Special tools folder for VIP members can get a free invite. Some tools are not available online again. The 7120 is not supported here, because of the CPU it uses. 7022, 7125, 7126, 7127 these use telechips yours using Samsung CPU. The way that gets rooted it a completely different method for 7120. All ROM request are now processed within 1 to 4 business days from the request sent it. Over the weekend request might be a slight delay. I've moved into a new office so any request for orders prior to this move will be fulfilled per request. Do not post issues here about order request. If you need to get help send to tipstir@gmail.com. I now have help again with orders requestments. Thanks to those who have been patient. I just purchased 2 9742 tablets and would like to root and rom the daylights out of them. I've done a few others but from my reading they are easy to brick. I hope I may get help here. Thanks in advance. taco1160 wrote: I just purchased 2 9742 tablets and would like to root and rom the daylights out of them. I've done a few others but from my reading they are easy to brick. I hope I may get help here. Thanks in advance. This model would have to be re-image to root it. The image has the root in it. From there you can use one of my PowerCode for this model there is new PowerCode 1000-995 (2014) available. You get that with the prior Powercode 905 (2013). Use this link for the ROM if you have issues getting the ROM Image let me know. ROM Image with the Root is not from me so follow my instructions how to apply it. Can be slightly tricky but the steps I provide will make it easy..
i need to know how to update my mid 8048 to new android version. ?my apps are not working because of older version. Also i want to know how to install google play on my tablet?